71-year-old Argentinian Alberto Samid is currently on his way to Argentina, after being expelled from Belize on Monday, April 8th. Under the watch of Belizean and Argentinian Police officers, the wanted man was escorted from San Pedro Town to Belize City, where he was processed for deportation. It is alleged that he lied to Belizean immigration authorities when he entered the country, saying that the purpose of his visit was for vacation, when in fact, he was fleeing Argentinian law. He left Belize shortly after 5PM on a flight bound to El Salvador with an additional stop in Bogota, Colombia before heading to Buenos Aires, Argentina, where he is expected to arrive today, Tuesday, around 10PM Argentinian time. Samid, a popular businessman in Argentina, is being accused of tax evasion and was to be tried in court when he disappeared. When he missed his second court hearing, police released a warrant for his arrest. By then, he had left the country on March 24th, and two days later was in Belize. According to Argentinian authorities, they spoke with Samid over the phone when he was in Belize. Samid told them that he was still in Argentina, but the call was tracked to Belize and this is when INTERPOL was instructed to release a Red Alert notice for his apprehension, stating that he could be in Belize. 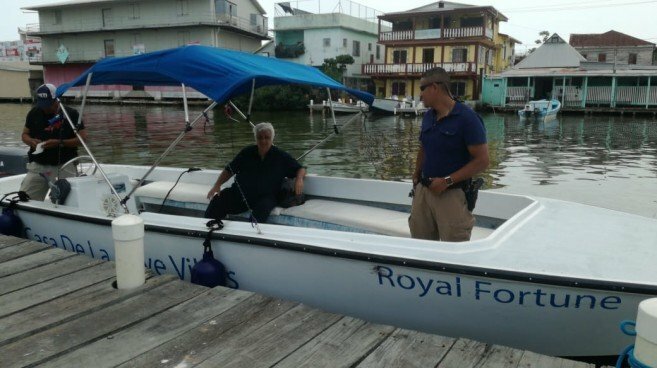 On Friday, April 5th, he was apprehended in San Pedro Town, Ambergris Caye, and taken to the island’s police station. 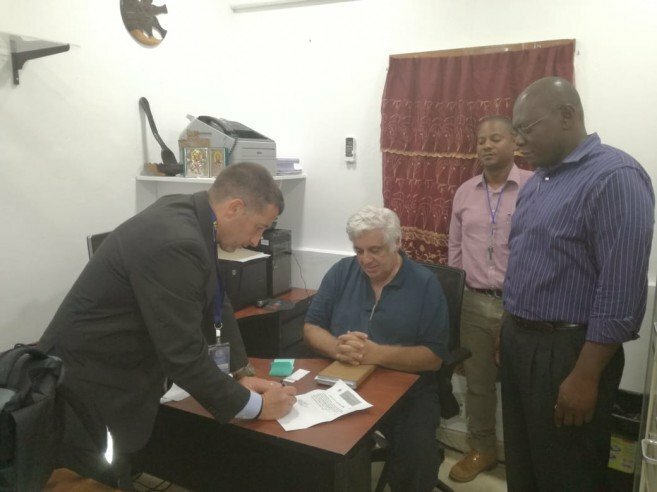 The news made headlines in Argentina, and the government sent two police officers to expidite the process of Samid’s expulsion from Belize. Although Belize and Argentina do not share an extradition agreement, Argentina worked out a plan with Belizean authorities and Samid was deported by reciprocity. When asked why he came to Belize, the Argentinian magnate said, “I just went on holiday for a weekend, because I had a lot of stress,” he said. Samid’s family objected to the expulsion, claiming that it was illegal, and that during his detention in Belize, he was ill-treated and was not allowed to speak to his family, who travelled to Belize on Sunday, April 7th. When Samid arrives in Argentina, he will be taken before a judiciary court, where he will be tried for tax evasion and other offenses after fleeing the country. If found guilty, he could serve up to seven years in prison.